Today I'm bringing you a post that's a little different than my normal content, but one that is super important for my fellow food bloggers! 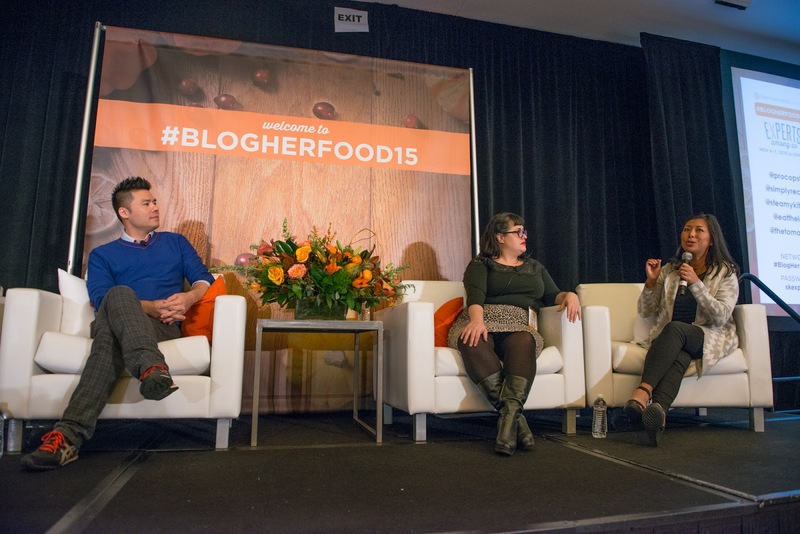 This past weekend, I attended #BlogHerFood15, the nation’s leading event for online food bloggers and the brands that want to work with them. It was an informative weekend of speakers, events, and of course food! 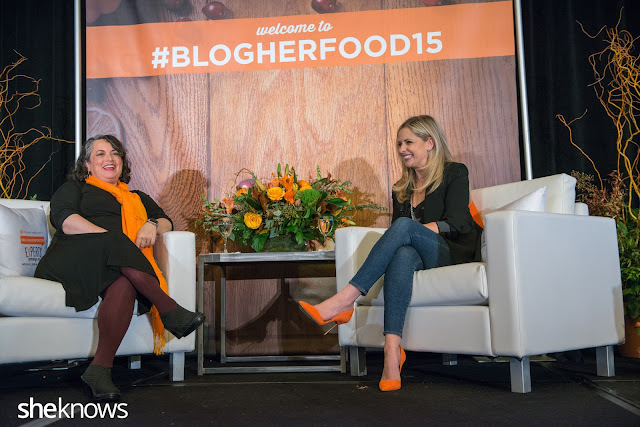 Sarah Michelle Gellar, who just launched her company Foodstirs, was the keynote speaker and I met with a bunch of foodie friends, but old and new, from across the country! I learned a lot, but I thought I’d share 10 key takeaways from the conference that I hope are useful for fellow food influencers! 1) It's OK to take a break from your blog and/or social media: Don't be afraid to take a break from your blog, your audience will still be there when you return! Side note: there will always be another social media app or platform to learn. 2) Don't post about topics you're not passionate about because you feel like you have to: If it's Thanksgiving and you feel like you have to write about pumpkin pie, but you hate pumpkin pie, don't write about it! The cracks will show and it will be obvious you're not being authentic. 3) It's important to capture your own voice: You can overwrite, or mimic other voices to a degree where you don't sound like yourself. Side note: use punctuation, not exclamation points(!). Your writing should imply exclamation. 4) When writing, take advantage of all five senses: We perceive the world through all five senses, so why only use one or a few? Tell details, then add visuals, taste, smell, sound, touch, etc. 5) When working with brands: Be very honest in your posts because people can tell when you're blurring the lines. Disclose all relationships. There is no such thing as too much disclosure. 6) If you want to be better at what you do, you have to take a risk: Ask for feedback, especially honest feedback from your readers, family, and friends. Be prepared to take the constructive criticism. 7) Use other platforms aside from social media to get your message out: You can promote your blog to print or other publications or start an email list to reach people who are interested in your content to build a focused audience. 8) It isn't just about reach, it's about engagement and content: You can have thousands of followers but the quality of your content is key. Own your content, engage with your audiences across platforms and find your niche. 9) Know your blog audience: Understand your audience's life stage, age, gender, location, etc. The more you know about your audience, the better. This will help brands you partner with drive interest in their products among the right audience. 10) Be proactive with brands: Don't be afraid to pitch to brands via email and send your media kit, case studies, brand experience, ideas for stories, etc. Make it easy for others to find your contact information on your blog. 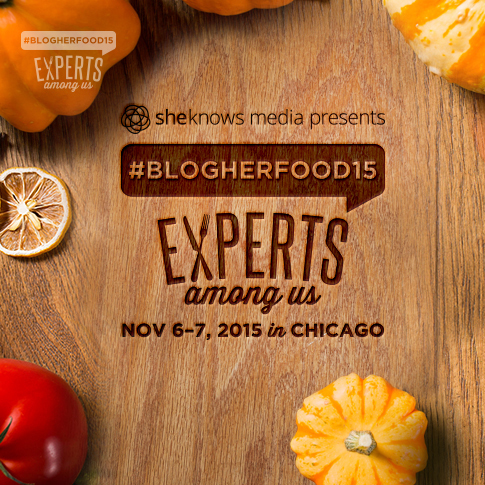 Note: I was given a complimentary pass to attend #BlogHerFood15.